Not only does this prevent a blood-sugar spike (and the resulting crash which heads you straight for something to eat), but the fiber is indigestible meaning it doesn’t add calories to your diet. 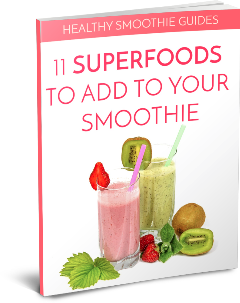 By including nuts, berries, seeds , fruit and dark green vegetables in your smoothies, you can be sure you are getting enough fiber. Even the type of dark green veggies can make a difference. For example, kale has twice the fiber as spinach.